If you are new to investing you may not have heard of them. If you are a novice investor you might know of them. If you are a veteran to investments you are probably taking advantage of them. Exchange traded funds, or commonly known as ETFs, have become a popular investing vehicle for many individuals because they generally have much lower management fees than mutual funds while providing the same diversification that investors seek. ETFs mirror what mutual funds do by grouping different stocks or bonds together and then offering them for sale on the stock market. In order to buy ETFs, you need to have a brokerage account. If your money is sitting in a savings account at the bank or credit union, then you won’t be able to buy ETFs. 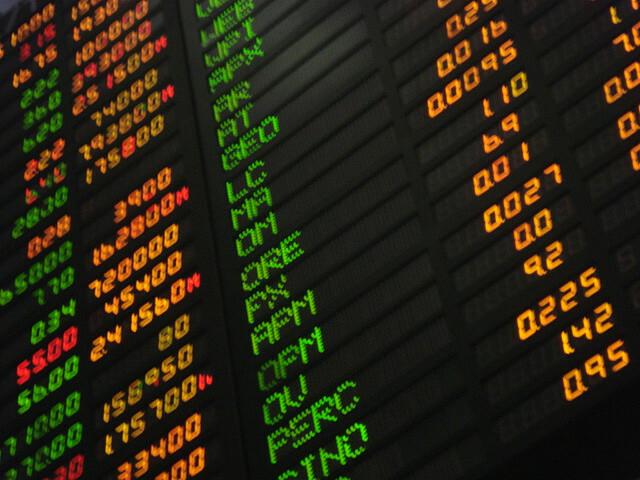 Similar to public corporations, ETFs are traded on the stock market. Each ETF has a specific stock symbol that you can use to look up the current price of a single share of the ETF. When you buy the share of the ETF you are essentially buying the underlying basket of stocks or bonds that make up a single share of the ETF. Since ETFs are very similar to stocks, a commission fee will be charged on the trade when it is executed in a brokerage account. This commission fee is important because it increases the cost of ownership of an ETF. Even if the management fee of an ETF is less than a mutual fund, the commission fees could have a profound effect and essentially make it more expensive to purchase an ETF than a mutual fund. ETFs have become increasing popular and thus there are many types of ETFs that are marketed to the investor. This has actually created more confusion in the ETF space because now funds are being offered that track specific sectors rather than just indexes. If you are looking for an ETF that only invests in agriculture, they got one. If you want one for green companies, there’s one for that too. It’s kind of like iPhone apps, only in this case there is an ETF for that. What stocks and bonds an ETF holds really depends on the type of ETF you are buying. Most ETFs will try to track some sort of an index because indexes come with a certain predefined set of stocks and bonds that it will contain. For instance, an ETF that tracks the S&P TSX index will tend to hold the top 200 companies in the Toronto Stock Exchange. Similarly an ETF tracking the DEX Universe Bond Index will contain a mixture of bonds from the Canadian government, municipal governments, provincial governments and corporate bonds. Those interested in seeing the composition can go to the PC Bond Analytics site to research. Nevertheless, it is important to be aware of what you are buying when purchasing an ETF. So how do you know what to buy? Unlike mutual funds, you won’t get recommendations from your regular financial advisor on ETFs because he or she will get no commission for selling you ETFs. A financial advisor will always push you towards mutual funds instead because it will provide the advisor with a “selling” commission. If you opt to go the route of buying ETFs then you will have to do some research into the companies that are offering them to see what type of ETFs are available. Two of the larger Canadian issuers of ETFs are iShares and Vanguard. As always, look for low fees and good diversification. A list of recommend Canadian Couch Potato ETFs can be found by clicking on the link. There you’ll find common index ETFs that are both low cost and diversified. ETFs are generally for the self-investor who wants more control over their portfolio and understands how to build a diversified portfolio themselves. After all, you are in control of all the buying and selling. So are ETFs for you? I’ll explore in my next post what the differences are between investing in mutual funds versus ETFs and what it means for your bottom line. I recently started investing in ETFs, so I’ll be looking out for your other article on this subject!